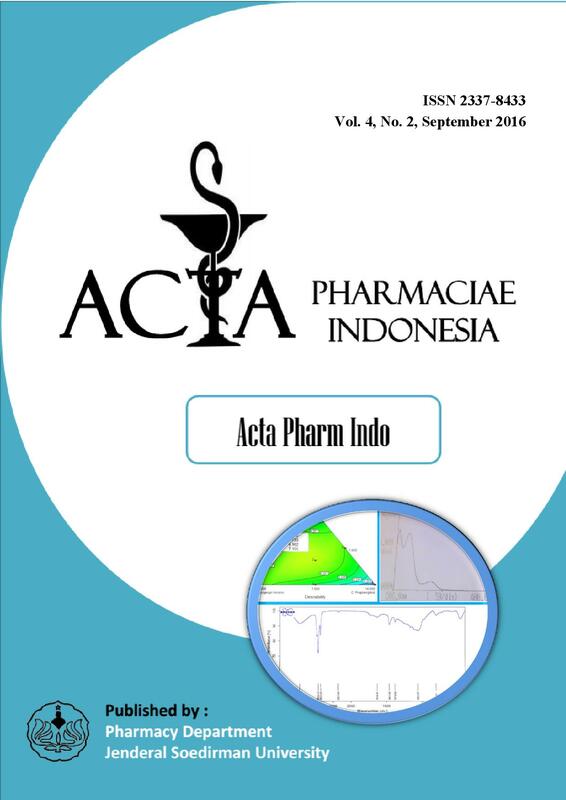 Journal of Acta Pharmaciae Indonesia is a journal published twice a year in March and September by Pharmacy Department, Jenderal Soedirman University at least 5 articles per publication with the Number of ISSN 2337-8433 and E-ISSN 2621-4520. Our journal discusses various pharmaceutical fields in terms of Pharmaceutics & Pharmaceutical Technology, Pharmaceutical Biology, Pharmaceutical Chemistry, and Pharmacology & Clinical Pharmacy. Articles are written in English or Bahasa Indonesia and reviewed by competence reviewers.